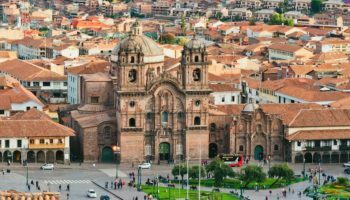 When it comes to colonial architecture, Lima is a great place to witness the buildings born from Spain’s Viceroyalty era in its South American territories. At the same time, modern buildings have sprung up around this city’s historic core to produce a fully-fledged coastal metropolis. 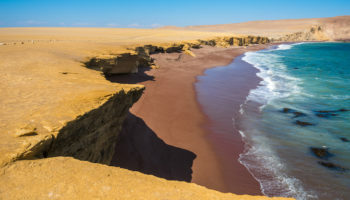 Boasting beaches, Lima grew in popularity from the early to mid 20th century, attracting tourists, artists, writers, and high society alike, who enjoyed its mild climate, dramatic cliffside beaches, and panoramas of the Pacific. Today, tourists still come to do much the same. 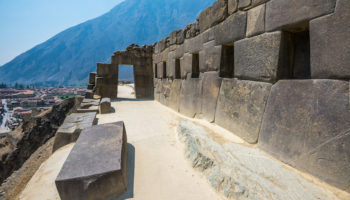 Hidden among its wealthy districts are ancient surprises in the form of millennia-old pre-Incan ruins, meaning you’ll get to explore the indigenous culture of Peru, as well. There are plenty of places in the Peruvian capital to enjoy all the benefits of its cosmopolitan heart. Restaurants, bars, and lively nightlife unfold in Miraflores, whilst in cool Barranco, it’s a decidedly leftfield offering. Hotels come in many shapes and sizes in Lima, from glistening skyscrapers to old colonial buildings, and from the boutique to the unfussy, so there will be something to suit everyone. Come and explore this interesting city! One of Lima’s primary tourist draws, Miraflores offers high-end hotel chains like JW and Marriott, as well stylish, affordable, mid-range hotels. Mainly an exclusive area for Lima’s well-to-do, there are many things to do here in terms of nightlife; plenty of restaurants, bars, and clubs can be found in this district. For a particularly good slice of nightlife, head to Calle de las Pizzas. As you might be able to tell from the name, the specialty down this lively street is pizza (and lots of it), though there’s other food – and drink, of course – to be found here. There’s a good stretch of beach in Miraflores, too: the Costa Verde, though quite rocky, is popular with beachgoers and surfers alike. Interestingly, you’ll find Huaca Pucllana here – the ruin of a pre-Inca pyramid, well over a thousand years old and one of the main tourist draws in Miraflores. Elsewhere, the Church of la Virgen Milagrosa and the huge shopping mall of Lacromar – overlooking the sea – are interesting places to visit. Hotel Estelar Miraflores – Hotel Estelar Miraflores is a towering 5-star hotel that boasts spacious rooms with incredible views of either the sea or the city. These also feature wooden floors, large beds and calming, neutral colours. Guests can soak up the city skyline from the restaurant on the 21st floor or enjoy a few drinks in the lobby bar. Other amenities include a fitness center as well as an outdoor swimming pool. Hilton Lima Miraflores – The modern rooms at this branch of Hilton are done in sultry browns and chocolate colour palettes; they boast contemporary tiled bathrooms and clean lines throughout. There’s a swanky hotel cocktail bar for guests to enjoy here, as well as an attached restaurant and a rooftop terrace, too. You can spend some time relaxing in the swimming pool or one of the hot tubs. This chic hotel is well situated for any shopaholic: the Larcomar shopping centre is within easy walking distance, whilst Lima’s Waikiki Beach is also close by. Luxury Inkari Hotel – Boasting an indoor pool as well as a well-equipped contemporary spa and wellness centre, this hotel comes complete with cosy, bright and airy rooms boasting ornate feature walls. The bathrooms are also decidedly modern and decked out in marble. You can dine at the on-site restaurant here and tuck in to a complimentary breakfast every morning. La Rosa Marina, with all of its dining options and sea views, is in easy walking distance. Radisson Decapolis Miraflores – This branch of Radisson is a bright, modern offering that’s situated right near Waikiki Beach, as well as the beachside promenade, which is perfect for anybody looking for their own slice of sun, sea and sand. Other attractions such as Kennedy Park and the Larcomar shopping center are also within walking distance. This 4-star hotel features a chic rooftop pool area and a sundeck, as well as a stylish lounge bar. The rooms here are newly renovated and are spacious, featuring floor to ceiling windows, whitewashed walls and pale wood floors, all accented with colorful Peruvian artwork. Tierra Viva Miraflores Larco – Tierra Viva Miraflores Larco is a simple, laid-back place to stay that’s clean and well maintained. The rooms here feature large beds with crisp white sheets, with whitewashed walls. This hotel is a calm, relaxing environment to return to after hitting the busy city streets, and boasts a lobby lounge decorated with modern art. There’s a fresh buffet breakfast served up here daily, too. From this 3-star offering, it’s about a 10-minute walk to the Larcomar shopping center. To the south of Miraflores, bohemian Barranco sits along the Pacific Ocean and is a hub of creativity. The seaside district is an enigmatic mix of old and new, with charming architecture leftover from its development in the 19th century blending into a stylish beach resort for the city’s elite. Colonial-style mansions with colorful facades line the leafy streets and now house stylish boutique shops, interesting art galleries, and amazing coffee shops. This charismatic, colorful barrio also has a reputation for vibrant street art that covers many walls in the old streets; you can also catch a street performance of Peruvian folk music. As the sun goes down, Barranco’s streets hot up. Make sure you spend an evening or two here around the Bridge of Sighs and the Parque Municipal, where cozy eateries serve up tasty Peruvian dishes while bars and clubs entice late night drinkers. Accommodation here is centered around fashionable city apartments, but there are some high-end offerings and a handful of hostels, too. 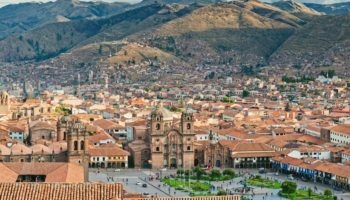 Second Home Peru – Offering a more traditional place to stay in Peru’s capital, this historic building houses a 4-star hotel and is presented much like a museum, with quirky and interesting artwork and artefacts on display throughout. Lovingly decorated and with a definitively unique character, this mansion dates back to the early 1900s and boasts bed-and-breakfast style rooms with classic features such as high wooden ceilings, dark wood floors and shuttered windows. Set in its own clifftop gardens with an outdoor pool, Second Home Peru is situated near Playa Barranco. Casa Fanning Hotel – This hotel features a charming courtyard garden that’s positively overflowing with plants, as well as a charming rooftop pool to cool off in. The selection of rooms here comprises small apartments with white tiled floors, small kitchens and lounge areas, all of which are very clean and spacious. There’s a complimentary breakfast provided in the dining room every morning, which is always a plus. There is also a small bar is on site for evening dishes and drinks. Home to a portion of Lima’s artist community, San Isidro is a decidedly upscale area that also serves as the capital’s financial district. Middle and upper-class families reside here, banks have their headquarters in shiny new skyscrapers, and most foreign embassies are located here. That’s not to say that this district – just north of Miraflores – has nothing interesting. Far from it! 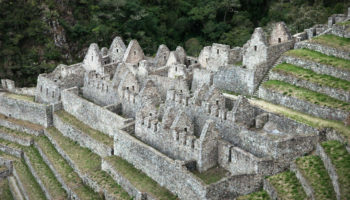 San Isidro is home to its very own ruins in the form of the Huaca Huallamarca – almost 2000 years old. You’ll find many upscale options in San Isidro. One of these – the Hotel Westin Libertador – is the tallest building in Peru. Another is the Country Club Hotel, set in a historic building. In San Isidro, you can dine at many high-end restaurants, including the award-winning Astrid y Gastón (one of the best restaurants in Latin America). 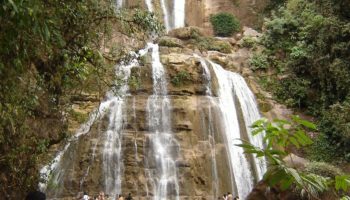 There are parks to visit in this wealthy district, too; head to Kennedy Square to feed some cats, or stroll around the large Forest El Olivar with its picturesque trees and water features. 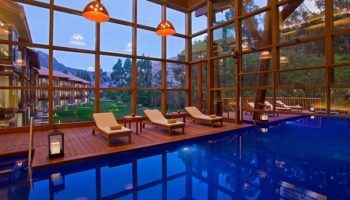 Swissotel Lima – This decidedly 5-star option is a high-end hotel that provides spacious rooms with cream carpets, large windows and subtle lighting, as well as beautifully appointed marble bathrooms. Impressive suites are also on offer for families, or if you just need more room to spread out. There’s a fabulously chic spa and pool area for guests to enjoy, but there are also no less than four award-winning restaurants to choose from at the hotel, too. There’s a piano bar for sumptuous evening drinks as well. 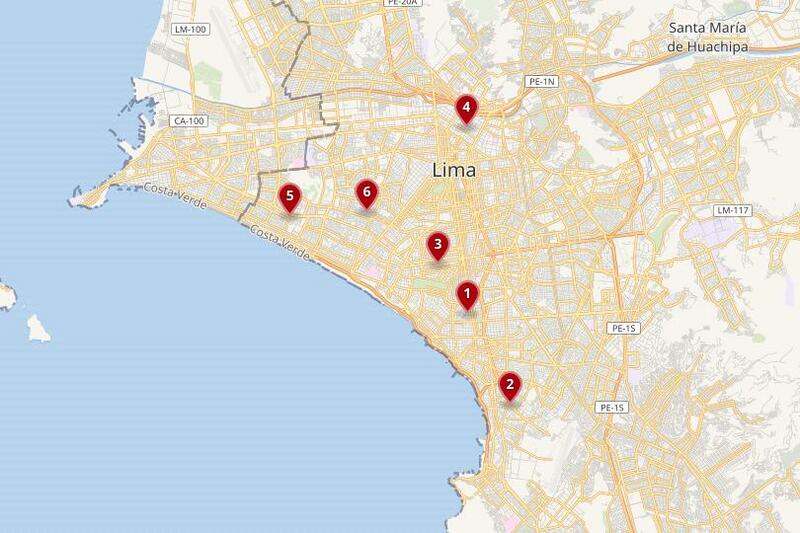 Nearby is the Lima Golf Club and the Republica Square. NM Lima Hotel – With its large and definitely minimalist entrance hall, NM Lima Hotel is a boutique-style option for a trip to the Peruvian capital. This is a new hotel with various comfortable lounges to relax in, and an eye-catching interior courtyard decked out in patterned tiles. At this hotel you can work out in the fitness center with views overlooking the city, or for a more relaxing choice you can simply enjoy a massage. Rooms here are simple, retro and are all about neutral colors and natural light. You’ll find Lima Golf Club near the hotel. Foresta Hotel Lima – With its warm and natural color palette, each suite at this 4-star option comes decorated with a selection of different artwork. Featuring big, comfy beds, these also come with their very own lounges and kitchens, too. You can have a tropical cocktail at the hotel’s bar and gourmet cuisine at the restaurant (complete with its own terrace). This is also where the hotel serves up their complimentary breakfast. There’s also a fitness center to keep up with those workouts. The historical center in Lima is the place to stay in the city if you want to be surrounded by the narrow lanes that wind their way around carefully restored, extravagant colonial buildings. The city’s central historic district is packed full of sites which are gilded in the glory of the Viceroyalty era. Lima’s central square – the Plaza de Armas – was established by the founder of the city himself, Francisco Pizarro, who dates back to the 16th century. Plaza de Armas is home to the grand Government Palace, where you can watch the daily changing of the guard, as well as the ornate Lima Cathedral and the Archbishop’s Palace. It’s easy to spend a few days in this barrio, surrounded by its historic buildings and visiting the museums. Staying in this central district means the top sights in the city are on your doorstep. You can stay in historic hotels, such as the El Gran Hotel Bolivar, or opt for a mid-range hotel or apartment. Hotel Continental Lima – The rooms at Hotel Continental Lima are simple and unfussy but ultimately cosy and comfortable for an affordable stay in the city. They are carpeted and come with hardwood beds and cabinets as well as a white tiled bathroom. Some even boast balconies with city views. In the hotel restaurant you can enjoy evening meals consisting of local dishes, and the hotel bar also serves up drinks as well as coffee. 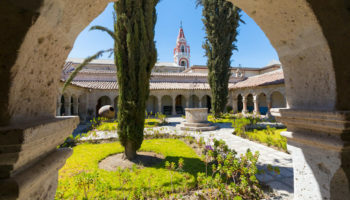 The location of this hotel is fantastic: it’s surrounded by historic sites such as the La Merced Church and San Martin Square. 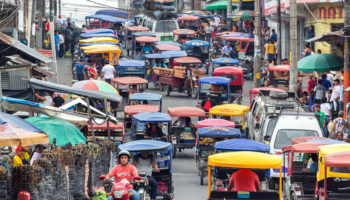 Set between the center of Lima and Callao, staying in San Miguel means being around a 20 to 30-minute drive to the capital’s airport, which is convenient if you’re planning to fly in or out this way. 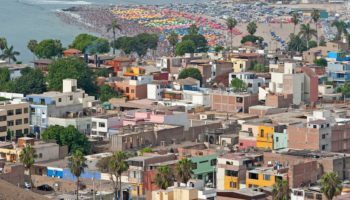 Much like Miraflores, which it borders, the district of San Miguel is known for its stretch of coastline (in fact, sharing the same Costa Verde with its neighbor), growing in popularity for that reason between the 1920’s and ’60’s. Today, it’s a mildly upmarket area but lacks the vibrancy of other districts. 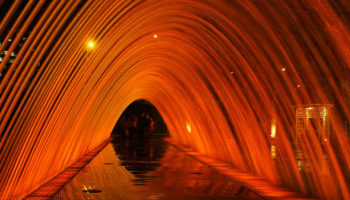 It’s chiefly known for its major attraction, Parque de Las Leyendas – ‘Park of Legends’ – which is Lima’s biggest zoo. The zoo itself is located within the boundaries of an important ancient city, so you’ll also find the Archaeological Complex of Maranga to explore at the park. San Miguel Nuna Hotel – San Miguel Nuna Hotel is a simple but modern option and features rooms that are equally simple; these are small but comfy, with wood floors and white walls, and some even boast views of Tungasusa Park. You’ll find a homely and peaceful atmosphere at this 3-star option, which is also secure, clean and well maintained. In terms of location, staying here means being close to Plaza San Miguel and two supermarkets. Translating as ‘Free Town’, Pueblo Libra is an intriguing district with more than its fair share of colonial mansions, historical monuments, and museums. 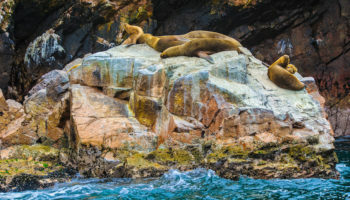 Although still located in Lima’s central area, this district is much quieter than its neighbors and offers a peaceful place to stay, with mid-range hotels and low-cost homestays. The residential area’s main square, Plaza Bolívar, is where you’ll find two of the best museums in the city: The Archaeological Museum and the History Museum. The barrio also boasts Casa Orbea, an 18th-century hacienda. For even more history, this is the site of pre-Incan ruins that date back over a thousand years, such as the Huaca Julio Tello. There are also, of course, some fantastic places to enjoy traditional Peruvian food – and a drink or two – such as the Old Manor House which was set up in the early 1700’s. If you’re looking for lunch, make sure to visit the Taverna Quierolo, a 19th-century taverna set up by an Italian immigrant; it serves some of the best sandwiches in the country. Casa Aika – This budget-friendly bed-and-breakfast has a warm, comfortable atmosphere which makes for a cosy, relaxing place to stay. Housed inside a new, modernist building, complete with a cafe on the ground floor, Casa Aika boasts rooms which are all about soft greys and whites for a simple yet stylish aesthetic. They may be basic, but they’re clean. And they also have flat screen TVs too, which all have access to Netflix. The location is also great: it’s a short walk from this Dutch-owned hotel to the Museo Larco as well as the Peru Archaeological Museum.